What is the relationship between the size of an animal and how long it lives? This interesting topic raises lots of questions, many quite pertinent to our modern lives. It begs for a bit of mathematical scaffolding. try to figure out which mammal lives the longest. 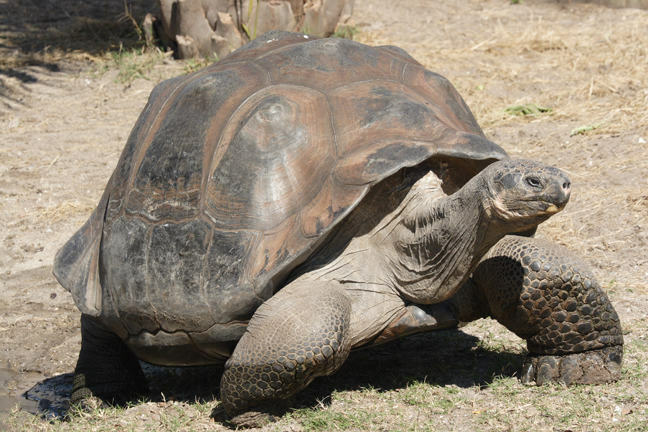 It has been well known for a long time that larger species tend, on average, to live longer. However there are also some anomalies—often birds, fish or tortoises. Let’s have a look at some data. This table is taken from Propel Steps. Q1 (M): Having studied the above list, you are now possibly an expert on lifespans of common animals. See if you can guess the life spans of the following: Alligator, Bee (Queen), Bee (Worker), Camel, Cow, Domestic Pigeon, Eel, Hippopotamus, Leopard, Mongoose, Ox, Platypus, Rabbit, Sheep, Tiger. A lesser flame is consumed by a greater one, for the nutriment, to wit the smoke, which the former takes a long period to expend is used up by the big flame quickly. He argued that ageing and death were linked to the process of dehydration. For a long time, Aristotle’s explanation was accepted. However in the 1800’s, people began to think of ageing more as a result of `wearing out’ the body. In 1908 Rubner studied the energy metabolism and lifespans of five domestic animals: guinea pig, cat, dog, cow and horse, as well as man. The larger animals lived longer, and he observed that while the total metabolic rate of these animals increases with mass, it did so at a slower rate than mass (so a kilogram elephant will use less energy than kilograms of mice). However it was also noticed that the product of energy expenditure by maximum lifespan was relatively independent of body size (with humans excluded from the comparison). So a gram of body tissue expends about the same amount of energy, over a lifetime, independent of whether the tissue is in a guinea pig, cat, dog, cow or horse. The consequent idea that using energy up faster will hasten death is the ‘rate of living’ theory. In his 1922 book ‘The Biology of Death’, Pearl argued that genetic constitution and the rate of energy expenditure were the key factors in life expectancy. He observed that that if accidents were excluded from the statistics, the rates at which males died after the age of 45 were directly related to the levels of energy expenditure in their occupations. However more recent experiments involving birds have cast some doubt on the universality of this thesis: lifetime expenditures of energy per gram of bird tissue are on average substantially greater than the equivalent values in mammals. In the 1950’s a different explanation gained traction: that ageing and death result from toxic by-products of metabolism. This idea is the `free-radical damage’ theory of ageing, in which oxidants and free radicals build up to cause damage to our system. The idea is that there is a direct relationship between oxygen consumption and generation of radical oxygen in our system. So still there is a direct implication between metabolism and ageing, whether one favors the rate of living or the free-radical damage theory. Remarkably, biologists have discovered that on average most animals have a lifetime allocation of about a billion heartbeats. We might say that an elephant lives longer than a mouse because its heart beats slower, and so the elephant has more time to get its billion beats. But very possibly the increased metabolic rate of the mouse means that it is doing more living in any given day! There seems to be some glimmer of fairness in this idea. Q2 (C): What mammal lives the longest? You should be able to make a pretty good guess, based on the evidence and discussion in this step. Hint: it is not on the list above, and it is not man. You know my methods, Watson. There is an amusing twist on this theme. While it is certainly true that larger species tend to live longer, on average, it is also true that within a species, smaller individuals often live longer than bigger individuals. Perhaps it comes down once again to metabolic rate: larger individuals need a higher metabolism to keep up their energy levels, so perhaps they tend to clock through their allotted times a bit quicker?? A2. The longest living mammal is the bowhead whale, which can live up to 200 years. Also known as the Arctic whale, this animal is big, and lives in cold waters so its metabolism is slow. The record age for a bowhead is 211 years.